In 1993, at the age of 12, Gosling attended an open audition in Montreal for a revival of Disney Channel's The Mickey Mouse Club. He was given a two-year contract as a mouseketeer and moved to Orlando, Florida. He appeared on-screen infrequently because other children were considered more talented. Nonetheless, he has described the job as the greatest two years of his life. Fellow cast members included Justin Timberlake, Britney Spears, and Christina Aguilera. Gosling has credited the experience with instilling in them "this great sense of focus." He became particularly close friends with Timberlake and they lived together for six months during the second year of the show. Timberlake's mother became Gosling's legal guardian after his mother returned to Canada for work reasons. Gosling has said that, even though he and Timberlake are no longer in touch, they are still supportive of each other. 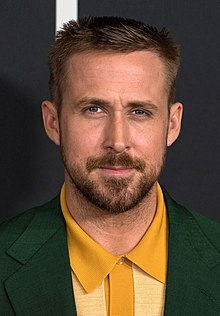 Following the show's cancellation in 1995, Gosling returned to Canada, where he continued to appear in family entertainment television series, including Are You Afraid of the Dark? (1995) and Goosebumps (1996), and starred in Breaker High (1997–98) as Sean Hanlon. At the age of 18, he moved to New Zealand to film the Fox Kids adventure series Young Hercules (1998–1999) as the title character. In 2002, he told the Vancouver Sun that he initially enjoyed working on the show, but began to care too much about the series, so it was no longer fun for him. He wanted to spend more time sitting with and devising a character as well as play a variety of roles, so he chose to enter film and not accept any more television work. Following a three-year absence from the big screen, Gosling starred in five movies in 2010 and 2011. "I've never had more energy," Gosling has said. "I'm more excited to make films than I used to be. I used to kind of dread it. It was so emotional and taxing. But I've found a way to have fun while doing it. And I think that translates into the films." He has also spoken of feeling depressed when not working. In 2010, he co-starred with Michelle Williams in Derek Cianfrance's directorial debut, the marital drama Blue Valentine. The low-budget film was mainly improvised and Gosling has said "you had to remind yourself you were making a film". Mick LaSalle of the San Francisco Chronicle felt he "brings a preternatural understanding of people to his performance" while A.O. Scott of The New York Times found him "convincing as the run-down, desperate, older Dean, and maybe a bit less so as the younger version". Owen Gleiberman of Entertainment Weekly noted that he "plays Dean as a snarky working-class hipster, but when his anger is unleashed, the performance turns powerful." However, Wesley Morris of The Boston Globe felt the performance was an example of "hipsterism misdirected". He was nominated for a Golden Globe Award for Best Actor – Motion Picture Drama. The film was a box office success, grossing over $12 million worldwide from a production budget of $1 million. Gosling's second on-screen appearance of 2010 was in the mystery film All Good Things with Kirsten Dunst, based on a true story. He played the role of New York real-estate heir David Marks, who was investigated for the disappearance of his wife (played by Dunst). Gosling found the filming process to be a "dark experience" and did not undertake any promotional duties for the film. When asked if he was proud of the film, he replied, "I'm proud of what Kirsten does in the movie." Peter Travers of Rolling Stone felt he "gets so deep into character you can feel his nerve endings." Mick La Salle of the San Francisco Chronicle found the "chameleonic Gosling is completely convincing as this empty shell of a man". Betsy Sharkey of the Los Angeles Times felt that the film belonged to Dunst, but noted that Gosling "is good too". The film grossed $644,535 worldwide. Also in 2010, Gosling narrated and produced ReGeneration, a documentary that explores the cynicism in today's youth towards social and political causes. 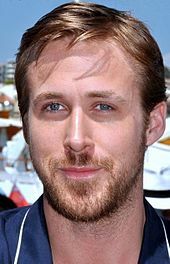 ^ "Ryan Gosling Biography (1980–)". FilmReference.com. Archived from the original on July 14, 2014. Retrieved July 9, 2014. ^ "Ryan Gosling Says Onscreen Intimacy in 'Blue Valentine' 'Just Happened'". The Guardian. January 4, 2011. Archived from the original on June 29, 2012. Retrieved January 26, 2012. ^ a b Hiscock, John (August 25, 2006). "From Mouse to Big Cheese". Toronto Star. Archived from the original on January 15, 2013. Retrieved January 26, 2012. ^ a b "The Oddball". Time. October 4, 2007. Archived from the original on January 25, 2012. Retrieved January 26, 2012. ^ "Let's Hear It from Goofy Mr. Gosling". Philippine Daily Inquirer. Archived from the original on December 16, 2011. Retrieved January 26, 2012. ^ "Bieber, Lavigne, Gosling related: Report". Canoe.ca. October 11, 2012. Archived from the original on February 19, 2013. Retrieved August 31, 2013. ^ "Justin Bieber, Ryan Gosling, and Avril Lavigne Relationship" (PDF). Ancestry.ca. Retrieved August 31, 2013. ^ "In Love with a Real Doll". Beliefnet. Archived from the original on January 2, 2012. Retrieved January 26, 2012. ^ a b c d Wood, Gaby (February 21, 2007). "I Live on Skid Row. You Can't Filter Out Reality There". The Guardian. London. Archived from the original on October 2, 2013. Retrieved January 26, 2012. ^ "In Love with a Real Doll". Archived from the original on October 19, 2016. Retrieved October 16, 2016. ^ "Ryan Gosling Biography". Tribute. Archived from the original on January 20, 2012. Retrieved January 26, 2012. ^ Shea, Courtney. (January 5, 2011) Spotted! Ryan Gosling getting his Canuck Christmas on in Burlington | Telling Tales Archived October 14, 2012, at the Wayback Machine. torontolife.com. ^ "Ryan Gosling: 'If I had to shake it like a showgirl, I was going to do it'". The Guardian. April 9, 2015. Archived from the original on April 10, 2015. Retrieved April 9, 2015. ^ Shone, Tom (September 11, 2011). "In the Driving Seat: Interview with Ryan Gosling". The Daily Telegraph. London. Archived from the original on January 15, 2012. Retrieved January 26, 2012. ^ "Disney Gets First Canadian Mouseketeer". The Gazette. March 24, 1993. ^ "The Children's Champion, The Oscar-Nominated Actor, a Star by His Teens, Is Taking Up the Cause of Ugandan Boy Soldiers". The Independent. April 22, 2007. ^ a b Jones, Emma (January 11, 2013). "Ryan Gosling tells all about the love of his life (his dog, George)". The Independent. London. Archived from the original on December 20, 2013. Retrieved December 5, 2013. ^ a b Stone, Jay (September 2, 2011). "TIFF Poster Boy Ryan Gosling on Working under the Table". National Post. Archived from the original on January 4, 2013. Retrieved April 5, 2012. ^ "Celebrity Spider – Ryan Gosling". Celebrityspider.com. Archived from the original on January 28, 2012. Retrieved January 26, 2012. ^ GQ. January 2011. p. 50. ^ a b c "Gosling Interview". The Times. Retrieved January 26, 2012. ^ a b c Karger, Dave (April 20, 2007). "Spotlight on Ryan Gosling". Entertainment Weekly. Archived from the original on October 13, 2012. Retrieved January 26, 2012. ^ Stephanie Rafanelli (June 2, 2016). "Ryan Gosling: Women are better than men – they are stronger and more evolved". London Evening Standard. Retrieved July 11, 2017. ^ "Ryan Gosling: The Children's Champion". The Independent. London. Archived from the original on November 25, 2009. Retrieved January 26, 2012. ^ a b Murray, Rebecca (2004). "Ryan Gosling Interview – The Notebook Movie". About.com. Archived from the original on October 6, 2011. Retrieved January 26, 2012. ^ a b "Steve Carell and Gosling". Interview. Archived from the original on November 23, 2010. Retrieved January 26, 2012. ^ a b "I Think Like a Girl". The Independent. London. October 25, 2011. Archived from the original on January 29, 2012. Retrieved January 26, 2012. ^ W. October 2010. p. 89. ^ a b c d "Ryan Gosling". People. Archived from the original on January 13, 2012. Retrieved January 26, 2012. ^ "Ryan Gosling Reveals His Wedding Singer Past". CNN. October 26, 2010. Archived from the original on November 29, 2010. Retrieved January 26, 2012. ^ a b "Who the Hell Is This?". Angelfire. Archived from the original on October 22, 2013. Retrieved January 26, 2012. ^ "Justin Timberlake: I Stole a Golf Cart with Ryan Gosling!". Us Weekly. Archived from the original on January 20, 2012. Retrieved January 26, 2012. ^ a b c d "The Evolution of Ryan Gosling". Total Film. January 14, 2011. Archived from the original on January 17, 2011. Retrieved January 26, 2012. ^ a b Lim, Dennis (September 14, 2011). "A Heartthrob Finds His Tough-Guy Side". The New York Times. Archived from the original on October 3, 2011. Retrieved January 26, 2012. ^ "Twist of Faith". The Nerve. Archived from the original on March 20, 2012. Retrieved January 26, 2012. ^ Thomas, Kevin (May 17, 2002). "Believer Doesn't Tell the Whole Story". Los Angeles Times. Archived from the original on June 12, 2012. Retrieved January 26, 2012. ^ McCarthy, Todd (January 25, 2001). "The Believer". Variety. Archived from the original on May 19, 2012. Retrieved January 26, 2012. ^ "The Believer Wins Sundance Grand Jury Prize". FilmFestivals.com. Archived from the original on June 5, 2011. Retrieved January 26, 2012. ^ a b Camhi, Leslie (March 17, 2002). "In a Skinhead's Tale, a Picture of Both Hate and Love". The New York Times. ^ The Believer (2002) Archived February 2, 2012, at the Wayback Machine. Box Office Mojo. ^ "Murder by Numbers". Festival de Cannes. Archived from the original on June 12, 2012. Retrieved January 26, 2012. ^ "Murder by Numbers Review". Entertainment Weekly. April 17, 2002. Archived from the original on March 23, 2013. Retrieved January 26, 2012. ^ McCarthy, Todd (April 12, 2002). "Murder By Numbers". Variety. Archived from the original on May 19, 2012. Retrieved January 26, 2012. ^ Murder by Numbers (2002) Archived January 28, 2012, at the Wayback Machine. Box Office Mojo. ^ "Q/A: Ryan Gosling". The Independent. Archived from the original on April 1, 2012. Retrieved January 26, 2012. ^ Holden, Stephen (March 29, 2002). "On or Off the Field, Rough, Raw and Twangy". The New York Times. Archived from the original on October 22, 2013. Retrieved January 26, 2012. ^ Dargis, Manohla (January 24, 2003). "'Slaughter Rule' Tosses Metaphors Like Passes". Los Angeles Times. Archived from the original on June 12, 2012. Retrieved January 26, 2012. ^ The Slaughter Rule (2003) Archived February 1, 2012, at the Wayback Machine. Box Office Mojo. ^ "Interview: Matthew Ryan Hoge & Ryan Gosling". IGN. Archived from the original on November 17, 2011. Retrieved January 26, 2012. ^ "The United States of Leland". Chicago Sun-Times. April 2, 2004. Archived from the original on June 12, 2012. Retrieved January 26, 2012. ^ Scott, A. O. (April 2, 2004). "A Tale of Crime and Consequences". The New York Times. Archived from the original on May 16, 2013. Retrieved January 26, 2012. ^ Rooney, David (January 20, 2003). "The United States of Leland". Variety. Archived from the original on May 19, 2012. Retrieved January 26, 2012. ^ The United States of Leland (2004) Archived January 29, 2012, at the Wayback Machine. Box Office Mojo. ^ "Ryan Gosling Biography". People. Archived from the original on December 20, 2011. Retrieved January 26, 2012. ^ "The Notebook Production Notes". Movies Central. Archived from the original on July 12, 2012. Retrieved January 3, 2012. ^ "Ryan Gosling Interview – The Notebook". About.com. Archived from the original on March 30, 2013. Retrieved January 26, 2013. ^ Thompson, Bill (February 19, 2003). "'Notebook' Pivotal for McAdams". The Post and Courier. Archived from the original on November 23, 2012. ^ a b "Director Baffled By Gosling/Mcadams Romance". Contactmusic.com. December 16, 2006. Archived from the original on June 12, 2012. Retrieved February 4, 2012. ^ Holden, Stephen (January 26, 2012). "When Love Is Madness and Life a Straitjacket". The New York Times. Archived from the original on March 4, 2016. ^ "Young Love, Old Story". The Washington Post. June 25, 2004. Archived from the original on July 2, 2013. Retrieved January 26, 2012. ^ a b "Ryan Gosling". Box Office Mojo. Archived from the original on September 21, 2013. Retrieved August 31, 2013. ^ "Teen Choice Awards". The Age. Melbourne. August 15, 2005. Archived from the original on January 30, 2012. Retrieved January 26, 2012. ^ "MTV Movie Awards News – The 5 Most Jaw Dropping MTV Movie Awards Moments". Celebuzz. Archived from the original on August 11, 2011. Retrieved January 26, 2012. 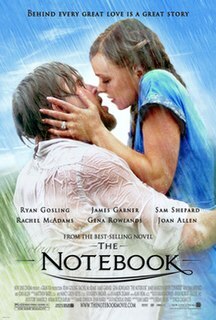 ^ "All-time Best Movie Kiss: Does Anything Even Come Close to 'The Notebook'?". Entertainment Weekly. Archived from the original on January 24, 2012. Retrieved January 26, 2012. ^ "50: Classic Movie Kisses". LA Times Magazine. Archived from the original on January 20, 2012. Retrieved January 26, 2012. ^ McGuire, Judy (February 28, 2009). "The Notebook". Time. Archived from the original on January 29, 2012. Retrieved January 26, 2012. ^ "The Most Romantic Scene from The Notebook". Marie Claire. Archived from the original on December 22, 2011. Retrieved January 26, 2012. ^ "25 Most Romantic Movie Quotes". Extratv.warnerbros.com. Archived from the original on January 25, 2012. Retrieved January 26, 2012. ^ "Leonardo DiCaprio, Kate Winslet Romantic Movie Couples Photos". The Sydney Morning Herald. March 24, 2011. Archived from the original on August 29, 2011. Retrieved January 26, 2012. ^ Dargis, Manohla (October 21, 2005). "Something Is Happening, But Who Knows What It Is?". The New York Times. Archived from the original on June 29, 2012. Retrieved January 26, 2012. ^ McCarthy, Todd (October 20, 2005). "Stay – Film Reviews". Variety. Archived from the original on May 19, 2012. Retrieved January 26, 2012. ^ "Stay (2005)" Archived January 30, 2012, at the Wayback Machine. Box Office Mojo (November 27, 2005). ^ "Ryan Gosling: Celebrities". W. Archived from the original on December 25, 2011. Retrieved January 26, 2012. ^ "Interview: Ryan Gosling". Archived from the original on December 23, 2011. Retrieved January 26, 2012. ^ Turan, Kenneth (August 25, 2006). "Half Nelson' Has a Firm Grip on Life's Drama". Los Angeles Times. Archived from the original on June 12, 2012. Retrieved January 2, 2012. ^ Stein, Ruthe (June 24, 2011). "The Kids Are All Right. As for the Teacher". San Francisco Chronicle. Archived from the original on March 24, 2012. Retrieved January 26, 2012. ^ Jim Emerson (September 15, 2006). "Half Nelson". rogerebert.com. Archived from the original on June 12, 2012. Retrieved September 14, 2012. ^ "Half Nelson". Box Office Mojo. IMDb.com, Inc. Archived from the original on September 5, 2012. Retrieved September 14, 2012. ^ "Academy Invites 115 to Become Members". Archived from the original on June 20, 2007. Retrieved January 19, 2015. ^ Kirschling, Gregory (September 14, 2007). "Guy and Doll". Entertainment Weekly. Archived from the original on March 23, 2013. Retrieved January 26, 2012. ^ "Lars and the Real Girl". Chicago Sun-Times. October 18, 2007. Archived from the original on June 12, 2012. Retrieved January 26, 2012. ^ Hornaday, Ann (October 19, 2007). "Lars and the Real Girl' Break a Wooden Heart". The Washington Post. Archived from the original on December 9, 2013. Retrieved January 26, 2012. ^ Dargis, Manohla (October 12, 2007). "Lars and the Real Girl". The New York Times. Archived from the original on February 17, 2012. Retrieved January 26, 2012. ^ "The Golden Globes". TheGoldenGlobes.com. Archived from the original on January 19, 2012. Retrieved January 26, 2012. ^ Lars and the Real Girl (2007) Archived January 31, 2012, at the Wayback Machine. Box Office Mojo (March 6, 2008). ^ Abramowitz, Rachel (April 22, 2007). "Just Too Cool for School". Los Angeles Times. Archived from the original on June 12, 2012. Retrieved January 26, 2012. ^ Murray, Rebecca (2007). "Ryan Gosling Talks About Fracture". About.com. Archived from the original on October 21, 2013. Retrieved November 15, 2014. ^ "Ryan Gosling Interviewed – Fracture". Collider.com. Archived from the original on October 12, 2011. Retrieved January 26, 2012. ^ Puig, Claudia (April 23, 2007). "'Fracture' Puts It All Together". USA Today. Archived from the original on January 17, 2011. Retrieved January 26, 2012. ^ Dargis, Manohla (April 20, 2007). "Fracture". The New York Times. Archived from the original on December 23, 2011. Retrieved January 26, 2012. ^ Fracture (2007) Archived January 28, 2012, at the Wayback Machine. Box Office Mojo (July 26, 2007). ^ Fleming, Michael; Siegel, Tatiana (October 21, 2007). "Wahlberg steps into 'Bones'". Variety. Archived from the original on May 19, 2012. ^ a b c d Bordelon, Jenna. "Ryan Gosling: Why Peter Jackson Fired Me From 'Lovely Bones'". The Hollywood Reporter. Archived from the original on December 30, 2011. ^ Mueller, Matt (March 14, 2008). "Interview: Ryan Gosling". The Guardian. London. Archived from the original on March 8, 2016. ^ Fisher, Alice (January 26, 2012). "The Life of Ryan". The Guardian. London. Archived from the original on February 22, 2017. ^ LaSalle, Mick (June 27, 2011). "Sad, but Among the Best". San Francisco Chronicle. Archived from the original on March 24, 2012. Retrieved January 26, 2012. ^ Scott, A. O. (December 28, 2010). "'Blue Valentine' Flits Through Couple's Time". The New York Times. Archived from the original on January 14, 2012. Retrieved January 26, 2012. ^ "Blue Valentine Review". Entertainment Weekly. January 6, 2011. Archived from the original on January 20, 2012. Retrieved January 26, 2012. ^ Morris, Wesley (January 7, 2011). "Blue Valentine". Boston Globe. Archived from the original on March 14, 2012. Retrieved January 26, 2012. ^ MacDonald, Gayle (December 14, 2010). "Canadian Ryan Gosling among Golden Globe Nominees". The Globe and Mail. Toronto. Archived from the original on September 28, 2011. Retrieved January 26, 2012. ^ Blue Valentine (2010) Archived January 28, 2012, at the Wayback Machine. Box Office Mojo (April 21, 2011). ^ "Kirsten Dunst on Her Next Film, 'All Good Things'". New York. Archived from the original on December 11, 2011. Retrieved January 26, 2012. ^ a b Zeitchik, Steven (December 26, 2010). "Ryan Gosling Again Takes the Plunge in 'Blue Valentine'". Los Angeles Times. Archived from the original on June 12, 2012. Retrieved January 26, 2012. ^ "All Good Things". Rolling Stone. Archived from the original on January 22, 2012. Retrieved January 26, 2012. ^ LaSalle, Mick (June 27, 2011). "Good Acting Isn't Enough". San Francisco Chronicle. Retrieved January 26, 2012. ^ Sharkey, Betsy; Critic, Film (December 10, 2010). "Movie review: 'All Good Things'". Los Angeles Times. Archived from the original on June 12, 2012. Retrieved January 26, 2012. ^ All Good Things (2010) Archived December 9, 2010, at the Wayback Machine. Box Office Mojo (April 7, 2011). 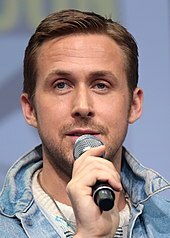 ^ "Ryan Gosling To Narrate Phillip Montgomery's 'ReGeneration'". HollywoodNews.com. Archived from the original on December 20, 2011. Retrieved January 26, 2012. ^ "Ryan Gosling to Narrate ReGeneration". ComingSoon.net. Archived from the original on March 27, 2012. Retrieved January 26, 2012. ^ "Steve Carell's 'Crazy, Stupid, Love' Hits Theaters April 22, 2011". Theplaylist.blogspot.com. Retrieved January 26, 2012. ^ "Ryan Gosling Interview CRAZY, STUPID, LOVE". Collider.com. Archived from the original on January 15, 2012. Retrieved January 26, 2012. ^ "Critic Review for Crazy, Stupid, Love". The Washington Post. Archived from the original on August 5, 2011. Retrieved January 26, 2012. ^ "Crazy Stupid Love". Rolling Stone. Archived from the original on January 14, 2012. Retrieved January 26, 2012. ^ Puig, Claudia (August 3, 2011). "'Crazy, Stupid, Love': Not, Quite, There". USA Today. Retrieved January 26, 2012. ^ a b "Golden Globe Nominations: Ryan Gosling Gets Two". Slate. Archived from the original on January 28, 2012. Retrieved January 26, 2012. ^ Crazy, Stupid, Love. (2011) Archived January 27, 2012, at the Wayback Machine. Box Office Mojo. ^ "Production Starts on Nicolas Winding Refn's Drive Starring Ryan Gosling and Carey Mulligan". Collider.com. Archived from the original on December 2, 2010. Retrieved January 26, 2012. ^ "Ryan Gosling Talks Drive, Action Films, and John Hughes Movies". About.com. Archived from the original on October 21, 2011. Retrieved January 26, 2012. ^ "Drive". rogerebert.com. Archived from the original on February 6, 2012. Retrieved January 26, 2012. 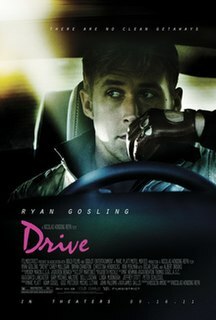 ^ "'Drive': A Rolls of an Action Film Noir". The Wall Street Journal. Archived from the original on January 25, 2012. Retrieved January 26, 2012. ^ Drive (2011) (2011) Archived December 8, 2015, at the Wayback Machine. Box Office Mojo (February 9, 2012). 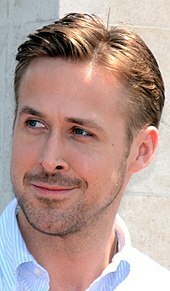 ^ "George Clooney and Ryan Gosling Set for 'Ides of March". About.com. Archived from the original on October 6, 2012. Retrieved January 26, 2012. 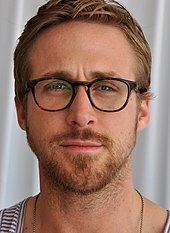 ^ "Interview: The Ides of March's Ryan Gosling". CinemaBlend.com. Archived from the original on December 12, 2011. Retrieved January 26, 2012. ^ Morgenstern, Joe (October 14, 2011). "The Ides of March". The Wall Street Journal. Archived from the original on January 21, 2012. Retrieved January 26, 2012. ^ Turan, Kenneth; Critic, Film (October 7, 2011). "The Ides of March". Los Angeles Times. Archived from the original on March 1, 2012. Retrieved January 26, 2012. ^ LaSalle, Mick (October 31, 2011). "The Political Animals". San Francisco Chronicle. Archived from the original on January 17, 2012. Retrieved January 26, 2012. ^ The Ides of March (2011) Archived January 27, 2012, at the Wayback Machine. Box Office Mojo (January 12, 2012). ^ Josh Brolin, Ryan Gosling, Emma Stone, and Director Ruben Fleischer Talk GANGSTER SQUAD | Collider | Page 220638 Archived June 22, 2015, at the Wayback Machine. Collider (January 8, 2013). ^ Scott, A.O. (January 10, 2013). "These Law Enforcers Will Stop at Nothing". The New York Times. Retrieved August 31, 2013. ^ Review: 'Gangster Squad' is a numbing barrage – A&E Archived December 11, 2013, at the Wayback Machine. Boston.com (January 9, 2013). ^ Sharkey, Betsy. (January 10, 2013) Review: 'Gangster Squad' runs through its ammo to no avail Archived January 12, 2013, at the Wayback Machine. latimes.com. ^ THE PLACE BEYOND THE PINES, Starring Ryan Gosling and Bradley Cooper, Set for Release on March 29, 2013 | Collider | Page 203904 Archived October 19, 2012, at the Wayback Machine. Collider. ^ "Ryan Gosling Talks Drive, Ides of March, and The Place Beyond the Pines in His Oddball, Ryan Gosling Way". New York. Archived from the original on January 8, 2012. Retrieved January 26, 2012. ^ Scott, A.O. (March 28, 2013). "Good Intentions, Paving the Usual". The New York Times. Archived from the original on October 5, 2013. Retrieved August 31, 2013. ^ Scott Foundas (March 29, 2013). "Ryan Gosling Is Your Trailer Park Prince Valiant in The Place Beyond the Pines – Page 1 – Movies – New York". The Village Voice. Archived from the original on August 1, 2013. Retrieved July 25, 2013. ^ Denby, David. "David Denby: "The Place Beyond the Pines," "Olympus Has Fallen" Reviews". The New Yorker. Archived from the original on June 4, 2013. Retrieved July 25, 2013. ^ "The Place Beyond the Pines (2013)". Box Office Mojo. Archived from the original on September 4, 2016. Retrieved July 2, 2013. ^ "Hard Drive". Bangkok Post. Retrieved January 26, 2012. ^ a b "Ryan Gosling Calls Upcoming Project 'Only God Forgives' The "Strangest Thing" He's Ever Read". indieWire. Archived from the original on October 31, 2011. Retrieved January 26, 2012. ^ "Only God Forgives (2013)". Metacritic. Retrieved September 6, 2017. ^ Cox, Gordon (May 22, 2013). "'Only God Forgives' Review: Ryan Gosling Even More Inscrutable in "Drive" Reunion". Variety. Archived from the original on July 25, 2013. Retrieved July 25, 2013. ^ Sharkey, Betsy (July 18, 2013). "Movie review: 'Only God Forgives' needs to be saved from itself". Los Angeles Times. Archived from the original on July 21, 2013. Retrieved July 25, 2013. ^ Stewart, Sara (July 18, 2013). "'Only God Forgives' movie review". New York Post. Archived from the original on August 5, 2013. Retrieved July 25, 2013. ^ Edelstein, David. "Movie Review: Only God Forgives". Vulture. Archived from the original on July 22, 2013. Retrieved July 25, 2013. ^ Holden, Stephen (July 18, 2013). "Mom Is a Drug Lord, and Gore Is a Narcotic". The New York Times. Retrieved August 31, 2013. ^ Peter Travers (July 19, 2013). "Only God Forgives". Rolling Stone. Archived from the original on July 22, 2013. Retrieved July 25, 2013. ^ gossip, cop. "mr". gossip cop. Archived from the original on March 23, 2013. Retrieved March 20, 2013. ^ Schwartzel, Erich (April 17, 2014). "Cannes Festival to Premiere Films by Jean-Luc Godard, Ryan Gosling". The Wall Street Journal. Archived from the original on April 18, 2014. Retrieved April 17, 2014. ^ Creepy, Uncle. (December 13, 2012) "Ben Mendelsohn Illustrates How to Catch a Monster" Archived December 31, 2012, at the Wayback Machine. Dreadcentral.com. ^ Wales, George. "Matt Smith to star in Ryan Gosling's How To Catch A Monster". TotalFilm.com. Archived from the original on July 5, 2013. Retrieved July 2, 2013. ^ "Lost River". Archived from the original on May 31, 2014. ^ Peter Bradshaw. "Cannes review: Lost River – Ryan Gosling flounders with directorial debut". The Guardian. Archived from the original on May 20, 2014. ^ Robbie Collin (May 20, 2014). "Ryan Gosling's Lost River, review: 'mouth-dryingly lousy'". The Daily Telegraph. London. Archived from the original on May 23, 2014. ^ Chang, Justin (May 20, 2014). "'Lost River' Review: Ryan Gosling's Howler of a Directing Debut". Variety. Archived from the original on June 1, 2014. ^ Sims, David (December 11, 2015). "The Big Short: Sound and Fury on Wall Street". The Atlantic. Archived from the original on July 22, 2016. Retrieved July 15, 2016. ^ Travers, Peter (December 10, 2015). "'The Big Short' Movie Review". Rolling Stone. Archived from the original on July 30, 2016. Retrieved July 15, 2016. ^ McNary, Dave (July 11, 2014). "Russell Crow Ryan Gosling Shane Black Nice Guys". Variety. Archived from the original on July 13, 2014. ^ Collins, Robbie (January 13, 2017). "La La Land review: you'll leave with a tear in your eye and a song in your heart". The Daily Telegraph. Retrieved September 26, 2018. ^ "La La Land (2016)". Box Office Mojo. Archived from the original on January 28, 2017. Retrieved March 28, 2017. ^ Fleming, Michael (February 24, 2004). "Four Joining Forces for Malick's Take on 'Che' – Gosling, Bratt, Potente Join the Revolution". Variety. Archived from the original on May 19, 2012. Retrieved June 17, 2012. ^ Fleming, Michael (April 1, 2004). "Regime Change for 'Che' – Malick Goes with Farrell in 'World'". Variety. Archived from the original on May 19, 2012. Retrieved June 17, 2012. ^ McClintock, Pamela (November 1, 2011). "Terrence Malick Announces Next Two Films, 'Lawless' and 'Knight of Cups'". The Hollywood Reporter. Archived from the original on January 26, 2012. Retrieved January 26, 2012. 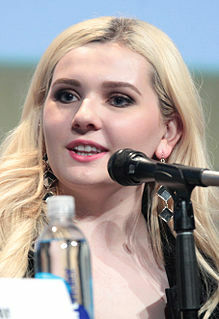 ^ "Rooney Mara Talks Lawless; Michael Sheen Talks Untitled Terrence Malick Drama". Collider.com. Archived from the original on March 7, 2012. Retrieved February 27, 2012. ^ Bradshaw, Peter (September 29, 2017). "Blade Runner 2049 review – a gigantic spectacle of pure hallucinatory craziness". The Guardian. ISSN 0261-3077. Retrieved October 6, 2017. ^ D'Alessandro, Anthony (October 7, 2017). "Dystopian Box Office Future: Why 'Blade Runner 2049' Is Hitting Turbulence With $31M+ Opening". Deadline Hollywood. Retrieved October 10, 2017. ^ McNary, Dave (March 7, 2017). "Ryan Gosling, Damien Chazelle's Neil Armstrong Biopic Gets Awards Season Release Date". Variety. Retrieved October 10, 2017. ^ Nordine, Michael (August 29, 2018). "First Man Review: Damien Chazelle and Ryan Gosling's Thrilling Neil Armstrong Biopic Has the Right Stuff — Venice". IndieWire. Penske Business Media. Retrieved August 30, 2018. ^ Barber, Nicholas (August 29, 2018). "Film review: Five stars for First Man". BBC Culture. BBC. Retrieved September 3, 2018. ^ Rodrigo (July 18, 2007). "Ryan Gosling Goes Indie-Rock". Theplaylist.blogspot.com. Retrieved January 26, 2012. ^ a b c "Dead Man's Bones". AllMusic. Retrieved January 26, 2012. ^ a b c Carpenter, Ellen (October 14, 2009). "Breaking: Dead Man's Bones". Rolling Stone. Archived from the original on January 14, 2012. Retrieved January 26, 2012. ^ "Critic Reviews for Dead Man's Bones at Metacritic". Metacritic. Archived from the original on November 16, 2013. Retrieved January 26, 2012. ^ "Dead Man's Bones". Archived from the original on February 2, 2012. Retrieved January 26, 2012. ^ "Dead Man's Bones". Prefix. Archived from the original on April 7, 2013. Retrieved January 26, 2012. ^ "Dead Man's Bones". Spin. Archived from the original on January 21, 2012. Retrieved January 26, 2012. ^ "Dead Man's Bones Review". Entertainment Weekly. October 9, 2009. Archived from the original on July 3, 2011. Retrieved January 26, 2012. ^ "Dead Man's Bones Gear Up for Residency...in a Puppet Theater". Archived from the original on December 24, 2011. Retrieved January 26, 2012. ^ "Dead Man's Bones (Ryan Gosling and Zach Shields) Announce First Tour". Archived from the original on September 19, 2009. Retrieved January 26, 2012. ^ "Meet Dead Man's Bones: Ryan Gosling and Zach Shields". Archived from the original on January 18, 2012. Retrieved January 26, 2012. ^ Bevan, David (August 24, 2009). "Dead Man's Bones Announce First Tour". The Fader. Archived from the original on April 17, 2011. Retrieved June 17, 2012. ^ "Ryan Gosling is Mr. TIFF". Canada.com. Archived from the original on June 29, 2012. Retrieved January 26, 2012. ^ "Ryan Gosling's Crazy, Stupid, Puppy Love". People. Archived from the original on January 18, 2012. Retrieved January 26, 2012. ^ "Los Angeles: Top 10 Celebrity-Owned Hotspots". BlackBook. Archived from the original on April 27, 2011. Retrieved January 26, 2012. ^ a b "Calamari Fan Ryan Gosling". STV. Archived from the original on January 21, 2012. Retrieved January 26, 2012. ^ "Ryan Gosling Believes in Hard Work". Musicrooms.net. Archived from the original on January 13, 2012. Retrieved January 26, 2012. ^ Finlayson, Ariana (September 17, 2011). "Ryan Gosling: Exes Sandra Bullock, Rachel Were the Best Girlfriends Ever!". US Weekly. Archived from the original on June 17, 2017. Retrieved January 20, 2017. ^ Jones, Oliver (August 18, 2008). "Scoop". People. Archived from the original on June 14, 2013. Retrieved February 4, 2012. ^ "Star Tracks – Friday, August 22, 2008 – The Hot Seat – McAdams and Gosling". People. August 22, 2008. Archived from the original on May 17, 2012. Retrieved February 4, 2012. ^ Willard, Chris (December 16, 2008). "Source: Ryan Gosling Still Loves Rachel McAdams". People. Archived from the original on December 8, 2011. Retrieved February 4, 2012. ^ Mikelbank, Peter (November 26, 2011). "Ryan Gosling and Eva Mendes Take a Macabre Tour of Paris". People. Archived from the original on January 12, 2012. Retrieved January 26, 2012. ^ Leopold, Todd (September 17, 2014). "Surprise! Eva Mendes, Ryan Gosling have baby". CNN. Archived from the original on November 1, 2014. ^ "Certificate of Live Birth 1201619037369" (PDF). TMZ. May 9, 2016. Archived (PDF) from the original on May 13, 2016. Retrieved May 10, 2016. ^ "Ryan Gosling Speaks Out About Chicken Slaughter". Looktothestars.org. Archived from the original on April 7, 2012. Retrieved January 26, 2012. ^ "Stars Say No To McDonald's Chicken Cruelty". Looktothestars.org. Archived from the original on March 15, 2012. Retrieved January 26, 2012. ^ "Ryan Gosling stands up for cows, joins PETA in urging milk producers to stop dehorning animals," Associated Press, April 3, 2013. ^ "McAdams and Boyfriend Gosling in Mississippi". Canada.com. Archived from the original on August 22, 2012. Retrieved January 26, 2012. ^ "Kristen Bell, Ryan Gosling, Pete Wentz, Many More Help Invisible Children Pass U.S. Legislation". Paste. Archived from the original on March 20, 2012. Retrieved January 26, 2012. ^ "INT: Ryan Gosling". JoBlo.com. Archived from the original on June 29, 2013. Retrieved January 26, 2012. ^ Argetsinger, Amy; Roberts, Roxanne (July 9, 2008). "Supporting Roles: Ryan Gosling as Darfur Activist and Humble Star". The Washington Post. Archived from the original on June 29, 2011. Retrieved January 26, 2012. ^ "At War in the Fields of the Lord". ABC News. Archived from the original on March 12, 2012. Retrieved January 26, 2012. ^ "Ryan Gosling Makes Charity Trip to Eastern Congo". Looktothestars.org. Archived from the original on April 7, 2012. Retrieved January 26, 2012. ^ "Ryan Gosling-Produced 'White Shadow' Acquired by IndiePix". Indiewire. February 26, 2015. Archived from the original on February 27, 2015. Retrieved February 26, 2015. ^ Hung, Steffen. "Discographie Ryan Gosling". Austrian Charts Portal. Hung Medien (Steffen Hung). ^ Hung, Steffen. "Discografie Ryan Gosling". Belgium (Flanders) Charts Portal. Hung Medien (Steffen Hung). ^ Hung, Steffen. "Discographie Ryan Gosling". French Charts Portal. Hung Medien (Steffen Hung). ^ Hung, Steffen. "Discography Ryan Gosling (Singles)". Spanish Charts Portal. Hung Medien (Steffen Hung). ^ Hung, Steffen. "Discographie Ryan Gosling". Swiss Charts Portal. Hung Medien (Steffen Hung). ^ "Ryan Gosling > Artist Search". Officialcharts.com/. Official Charts Company. Archived from the original on February 12, 2017. Bradley Charles Cooper is an American actor and filmmaker. He has been nominated for many awards, including seven Academy Awards and a Tony Award, and has won a Grammy Award and a BAFTA Award. Cooper appeared in Forbes Celebrity 100 on two occasions and Time's list of 100 most influential people in the world in 2015. His films have grossed $7.8 billion worldwide and he was named one of the world's highest-paid actors for three years. Rachel Anne McAdams is a Canadian actress and activist. 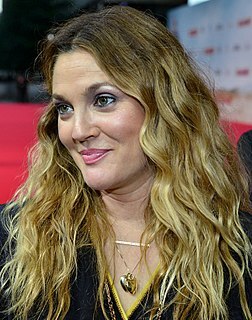 After graduating from a four-year theatre degree program at York University in 2001, she worked in Canadian television and film productions, such as the drama film Perfect Pie (2002), for which she received a Genie Award nomination, the comedy film My Name Is Tanino (2002), and the comedy series Slings and Arrows, for which she won a Gemini Award. Fracture is a 2007 American-German legal drama film, starring Anthony Hopkins and Ryan Gosling, and directed by Gregory Hoblit. It is the story of a man who shoots his unfaithful wife, and then engages in a battle of wits with a young assistant district attorney. The film has a 71% critic rating from Rotten Tomatoes and grossed $91 million. It was filmed in California. The Notebook is a 2004 romantic drama film directed by Nick Cassavetes and written by Jeremy Leven from Jan Sardi's adaptation of the 1996 novel by Nicholas Sparks. The film stars Ryan Gosling and Rachel McAdams as a young couple who fall in love in the 1940s. Their story is narrated from the present day by an elderly man telling the tale to a fellow nursing home resident. Drive is a 2011 American action drama film directed by Danish filmmaker Nicolas Winding Refn. The screenplay, written by Hossein Amini, is based on James Sallis' 2005 novel Drive. The film stars Ryan Gosling as an unnamed Hollywood stunt driver who moonlights as a getaway driver. He quickly grows fond of his neighbor, Irene, and her young son, Benicio. When her debt-ridden husband, Standard, is released from prison, the two men take part in what turns out to be a botched million-dollar heist that endangers the lives of everyone involved. Bryan Cranston, Christina Hendricks, Ron Perlman, and Albert Brooks play supporting roles.